Here's What Alia Bhatt Got From Mother Soni Razdan On Her Birthday! Home » Bollywood News » Here’s What Alia Bhatt Got From Mother Soni Razdan On Her Birthday! On her special day, Alia was surrounded by the love of her family and friends, including Ranbir, Karan Johar and Ayan Mukerji. 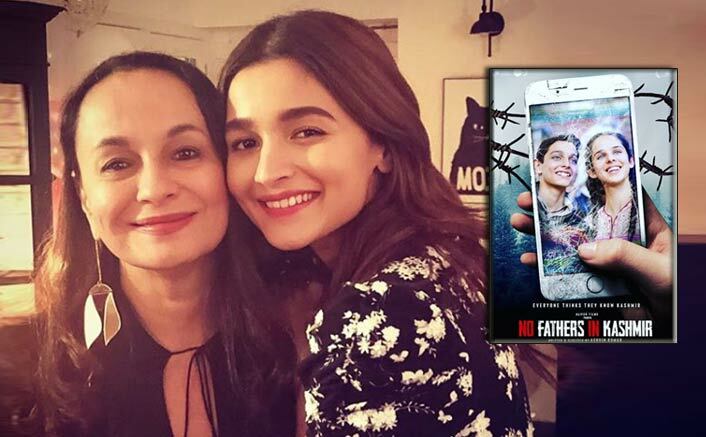 Actress Alia Bhatt, who brought in her 26th birthday on Friday with her close friends and actor Ranbir Kapoor, was ecstatic about launching the teaser of her mother Soni Razdan’s No Fathers In Kashmir. “What a great birthday gift mum Soni Razdan gave me! The teaser of ‘No Fathers In Kashmir‘ by India’s youngest Oscar nominated director Ashvin Kumar. Girl from London meets boy from Kashmir. What a stunning pair these teens make – just can’t wait to see it,” Alia tweeted along with the film’s teaser. The film is finally due to release on April 5, following a months-long wait for a green signal from the censor board. Alia has been supportive of the film, and had even earlier tweeted in support of the film requesting the authorities to issue the deserving certificate to the film. On her special day, Alia was surrounded by the love of her family and friends, including Ranbir, Karan Johar and Ayan Mukerji. Social media was abuzz with pictures and videos from her friends. Alia was seen blowing the candles on at least two cakes. The actress, who is on a roll in her career ever since making her debut with “Student Of The Year“, also cut a cake with the media here. Her film slate includes “Kalank“, “Brahmastra” and she is also making her Telugu film debut with Rajamouli’s “RRR“.